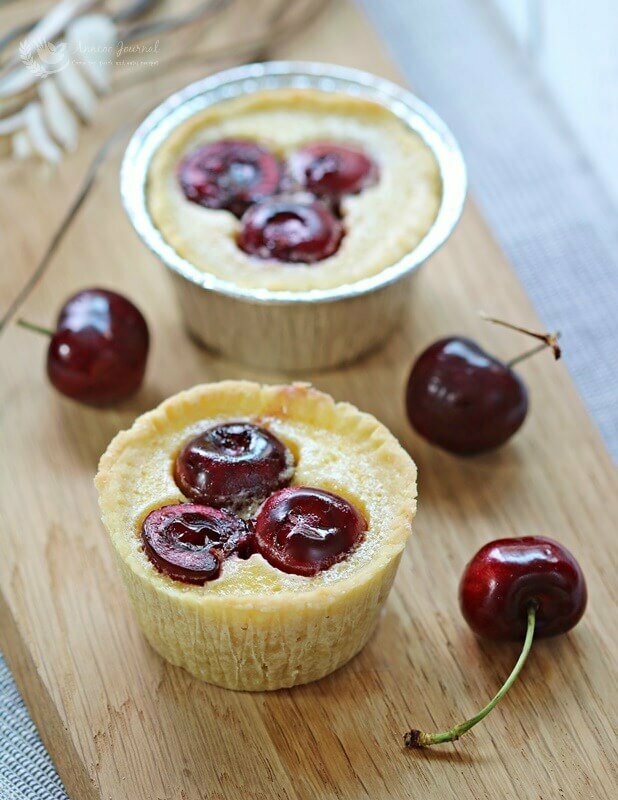 These cherry lemon tarts or cups are a refreshing light dessert and are extremely easy to make. 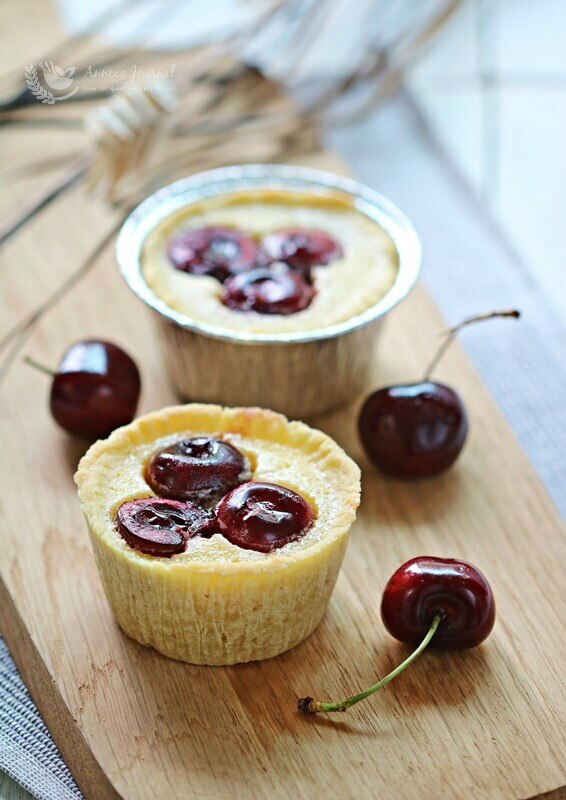 The crust is crispy and zesty after baked and the custard like filling pairs very well with the cherries and lemon juice. This delicious sweet treat is perfect for catching up with friends for afternoon tea. Cherries are going at a lower price than usual and can be seen in all the supermarkets. 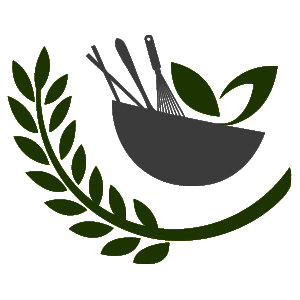 So why not take the opportunity and have a try on this easy recipe. 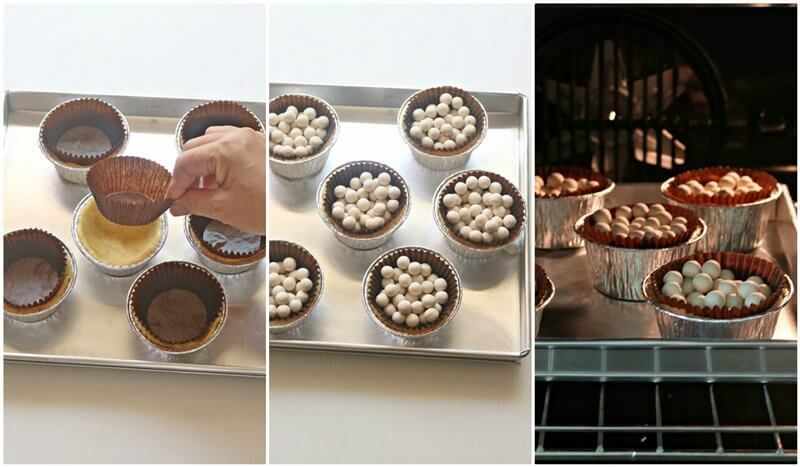 Make crust - Preheat oven to 180 deg C. Lightly grease six aluminium foil cups (3 inch dia x 1.5 inch height). 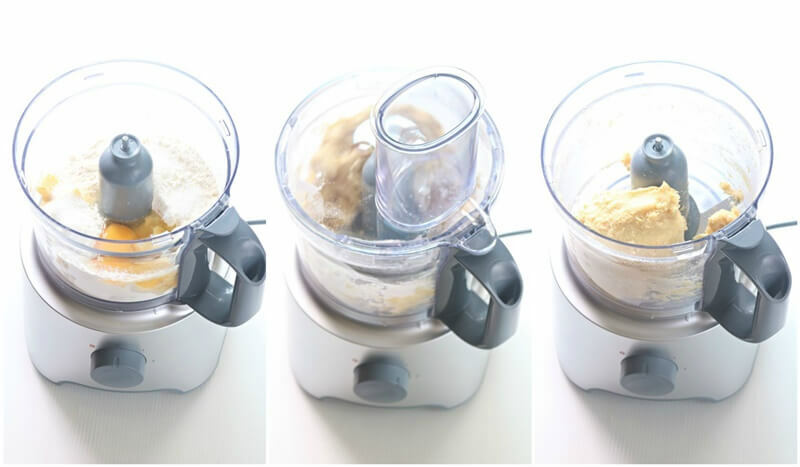 Place all the crust ingredients into a food processor and process (less than 30 seconds) until mixture to a soft dough. Divide dough into 6 pieces. Roll each into a ball and place in a muffin cup, pressing evenly into bottom and up sides. 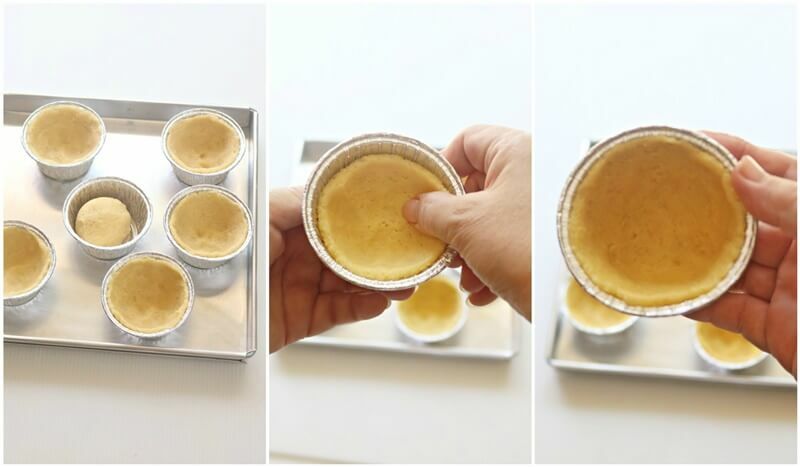 Place a paper cupcake liner into each muffin cup over dough and fill with pie weights or dry beans to keep the bottom flat. Bake for 15 minutes. Remove liners and weights and bake crusts for another 7 minutes. Filling - Whisk eggs, flour, sugar, lemon juice and vanilla extract together with a hand whisk. 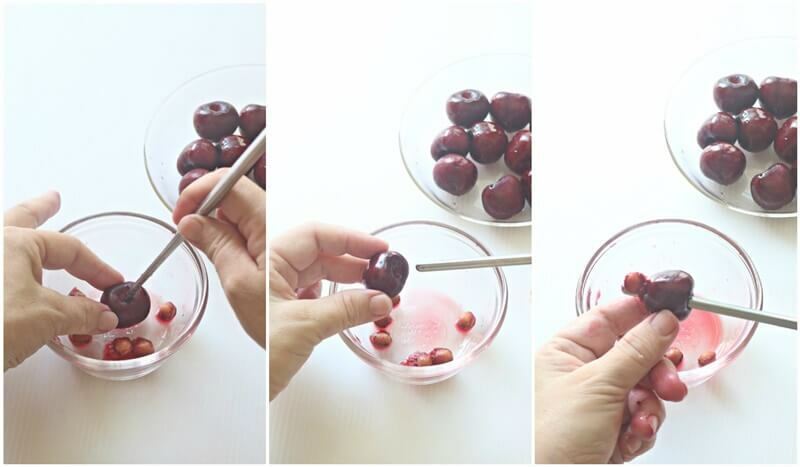 Place cherries into each crust and pour in egg batter. Bake until filling is set, about 25 minutes. 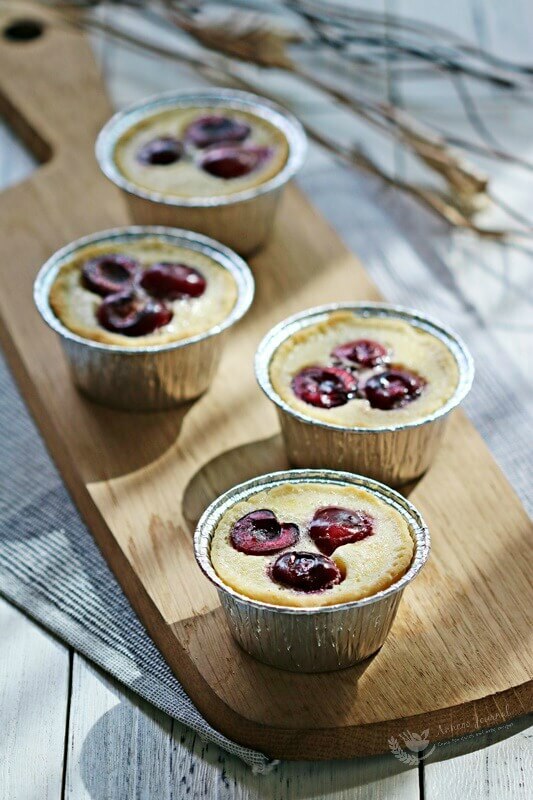 Leave cherry lemon cups to cool down a little in the muffin cups before removing them onto a wire rack to cool down completely. wow, these look so cute.